Rotary District 6250 is committed to the Rotary values of Fellowship, Leadership, Integrity, Diversity and Service. We are leaders who act responsibly and take action to tackle some of the world’s most pressing challenges. The District will provide support, expertise and resources as we work together on the following goals. A net increase of 1 member per Club for clubs with 50 members or less. Net increase of 2 members for clubs over 50 members. All clubs to enter at least five goals, including at least one public image goal, in Rotary Club Central to be eligible for district grants. 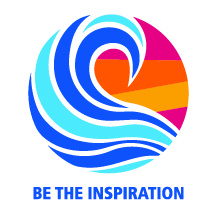 Inspire / increase Rotary Pride: At least 20 clubs produce public image activities using Rotary Brand Central. We are Rotarians: People of Action! Begin process of introducing Rotary Leadership Institute by recruiting and training district facilitators / trainers. Provide training on Rotary Club Central and Rotary’s new branding at PETS, District Conference/Assembly, Assistant Governor training and via webinar. Provide additional training by taking One Rotary Summit “on the road” to six sites in the District, with specific invitations to all membership, Foundation and Public Image Committee Chairs & members. Develop a promotional and marketing plan for the District working with both Public Image and Membership Committees.